It doesn't matter if you prefer comedies, dramas, westerns or horror, if you're a HumCo film fan, you have a lot to look forward to this summer. In addition to the new releases hitting theaters over the next few months, you also have three film series to choose from, plus the normal (normal?) selection of cult favorites at the Arcata Theatre Lounge. The Eureka Theater presents Fourth Friday Flix ($5), screening classic or cult films dirt cheap. The summer season kicks off with George Cukor's 1939 comedy, The Women, on June 27 at 7:30 p.m. Joan Crawford leads the all-female cast in a film about gossip, glamour, manicures and man trouble. Los Bagels in Arcata invites you to bring a comfy chair and a blanket for its Movies Under the Mural series on the last Saturday of every month. 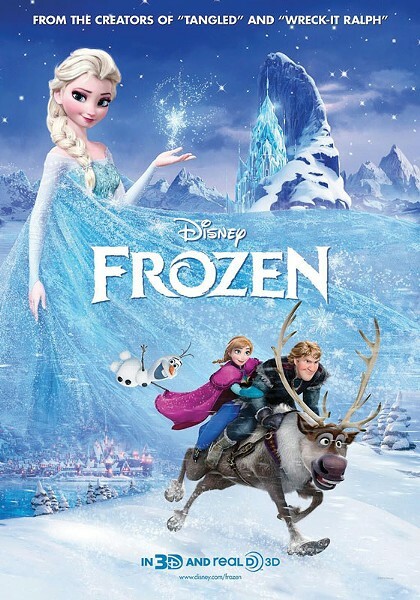 The series starts with a showing of Disney's Frozen on Saturday, June 28 at 9 p.m. There doesn't seem to be a kid alive who doesn't love this movie and its addictive soundtrack, so grab the little ones and head down for a movie and some free popcorn. The Arcata Theatre Lounge continues to be a go-to for film buffs and movie nerds alike. How strong is your kung fu? Enter the Dragon, starring the sinewy Bruce Lee plays Friday, June 27 at 8 p.m. ($5). If you were a child of the '80s and '90s, you'll want to head to there on Sunday, June 29 at 6 p.m. for the screening of Goonies ($5). If corny sci-fi is more your thing, then be there Wednesday, June 2 at 6:30 p.m., when Sci Fi Pint & Pizza Night features the 1979 space thriller The Alpha Incident (free with $5 purchase). Netflix be damned, you've got other plans.